D.C. officials plan to ban right turns at red lights at the intersection of 22nd and I streets NW. D.C. officials plan to ban right turns at red lights on multiple intersections on and around campus, according to a District Department of Transportation release last week. By the end of July 2019, drivers will no longer be allowed to make a right on red at 22nd and G streets NW, 22nd and I streets NW and 17th Street and Pennsylvania Avenue NW. The locations are three of 37 planned bans in Ward 2 and 101 total bans citywide. City officials will begin installing signs notifying drivers of the change in February. 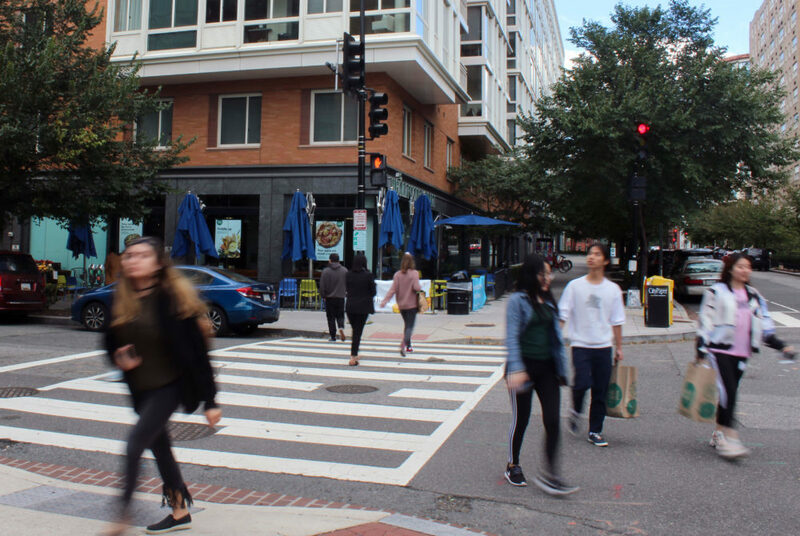 The changes are part of Mayor Muriel Bowser’s Vision Zero initiative, a traffic safety plan that aims to eliminate motorist and pedestrian deaths and serious injuries by 2024. The District will also pilot new infrastructure at five locations across the District aiming to reduce drivers’ speed and prevent cutting across traffic lanes while making left turns, according to the release.